The Indy Car Series hits the lights Saturday night at Kentucky Speedway for the Meijer Indy 300. Twenty three drivers will run for the win, including three women, Indy Car regular Danica Patrick as well as part timers Sarah Fisher and Milka Duno. This year’s race has plenty to get excited about. Last year, Helio Castroneves inherited the lead under yellow, but didn’t play the fuel mileage card in his favor as Scott Dixon passed Helio coming to the checkered flag. It was Dixon’s sixth win of the year. This year, Dixon is tied with teammate Dario Franchitti for wins with three a piece. Marco Andretti finished third, which was his last podium in the Indy Car Series. The only two drivers in the field this week with victories at Kentucky are Dixon and Tony Kanaan. Kanaan desperately needs a win, or at least a top 5. After the fire at Edmonton, Kanaan is 9th in points and hasn’t finished in the top 5 since Kansas back in April. The bad luck continues to strike for TK, who has only lead 80 laps this season, compared to last year at this time where he had led 367 laps and was 3rd in the Championship standings. He finished 8th in last year’s Kentucky race and hopes to break back onto the podium. This marks the first oval since the Indy Car’s snooze fest at Richmond. Some great changes have been made for the fans to look forward to. Rear tire ramps, side pod extensions and wheel backing plates will all help passing at this weekend’s race and no the “overtake assist.” All these things will help down force, passing and the ability of a trailing car to follow closer. The Indy Lights Series will take center stage first at Kentucky Speedway. A tight points battle has J.R. Hildebrand with a 69 point lead over Sebastian Saavedra. The Lights Series will be celebrating its 100th race in Kentucky with a 100 mile race. Hildebrand has won three races this season, and looks to hold off the rest of the fiend for the win Saturday evening. Prediction Time. In the Lights Series, Hildebrand and Saavedra are the favorites, but watch out for The Panther drivers. Panther was in victory lane last year at Kentucky, and Martin Plowman and Pippa Mann are looking to turn their seasons around. Wade Cunningham and James Davison will be front runners all night and in contention for the win. I think Davison will pull out a win after finishing 3rd last year. In the night cap, the Indy Car race should be exciting. It is really hard to pick again Scott Dixon, but I will take Helio Castroneves to avenge his heartbreaking loss last year in Kentucky, and put Penske in victory lane for the second consecutive race after Will Power won in Edmonton. My dark horses are Ed Carpenter and Tomas Scheckter. Carpenter, has three career top ten’s and Kentucky, and Vision has finished in the top 5 there twice. Ed couldn’t be happier to return to an Oval. Scheckter, who was 5th at Kentucky two seasons ago, has always ran well there, dominated the race back in 2005. Look for Scheckter to run top 10 and challenge for a top 5. You can catch the Meijer Indy 300 on Saturday night at 8 p.m. on Versus, and if you are at the race like I will be, I hope you enjoy and feel free to say hi! First off, do you really think he left Ganassi? Chip had a verbal commitment from Kanaan before he did a 180 and then Dario got the seat. Wheldon didn't have many options, not to get paid what he's making, but now I understand he wants out of Panther as quickly as possible. I asked him a couple weeks ago about going back to AGR and he just smiled and said he had a contract with Panther. But his agents were in Toronto and there's been talk of missed payments and some heated conversations so I'd say he's out of that ride regardless of what happens in the next couple months. It's puzzling he's so good on ovals and struggles so much on the road courses he grew up on. But it doesn't look like there's much out there for 2010. Will Panther go crawling back to Vitor? If so, will Quatro get the #14 ride? According to RDS, Canadian Alex Tagliani has decided to leave Conquest racing. Conquest has ran Tags on sponsorship dollars from the Edmunton Indy race which obviously ran dry now that the race has been run. Alex says that he's now looking for and Indycar ride in 2010. 16th And Georgetown: Now that were about half way through the 2009 season, what's been your favorite moment? Robbie Floyd: It may sound cheesy, but seeing Helio at Long Beach. Everybody had their thoughts on what would happen with his trial. But for him to be in Long Beach around the the people that really care about him, and that he cares about was special. A day earlier his life was in the juries hands. I can't even fathom what that must have felt like. But when you saw the emotion that he had after being acquitted, it was real. 16th And Georgetown: How was your first Month of May in Indianapolis? Was it what you expected? Robbie Floyd: At the time when you looked at our on-air schedule it seemed like the month would last forever. The week after the race it felt like it flew by. With the amount of time we were on each day covering qualifying, you could have showed more than two full NFL games. Six and a half hours is a long rip on live TV, but the fans that came up to me during and afterwards seemed to appreciate it. Was Indy what I expected? Absolutely. I have been to several Olympics and new that Indy would be on that level for the motorsports world. Everyone who is a racing fan needs to go at least once in their lives, and if you do make it, you'll want to go back again. 16th And Georgetown: Unfortunately VERSUS doesn't televise every race.C2 So, what kind of homework do you have to do on the off weeks to help prepare for your next race weekend? Robbie Floyd: Read as much as I can, but also watch the ESPN shows that I recor ded. That is an awkward part of us not covering every race. You don't want to lose touch of what happened during the race before. Then when I do arrive at our next race I try and ask the drivers all of the questions that I wanted answered. All of the drivers and crews know the situation we are working with, and have been very helpful. 16th And Georgetown: You've worked for several networks and have covered both the Summer and Winter Olympics, Bull Riding, Supercross, Motocross, freestyle skiing, and the Bassmaster Classic among others. Is there anything you couldn't cover? Robbie Floyd: In one word, NO. I hope not at least. I came from a racing background and I really enjoy finish lines. There is nothing to be judged except who crosses the line first. It is pretty exciting covering a variety of sports though. An athlete is an athlete, and I have so much respect for everything that each one does in there respective sport. After a well deserved weekend off after a wild and crazy race at Toronto, the Indy Car Series stays north of the border for the Rexall Edmonton Indy. The 1.96 mile temporary street course set at Edmonton City Centre Airport hopes to pick up where Toronto left off. In 2008, Paul Tracy returned to open wheel competition, finishing fourth for Vision Racing. This year's Edmonton Indy will be Paul's fifth start this season as he will once again drive for KV Racing Technology. In the inaugural Rexall Edmonton Indy, Scott Dixon took the checkered flag on his way to winning the title later that season. Helio Castroneves and Justin Wilson rounded out the rest of the podium. Dixon and Castroneves dominated last year, leading 65 of the 91 laps around the fourteen turn course. The scheduled distance for the race is 95 laps, but last year was cut short by four laps due to a one hour and fifty minute window of racing. The Rexall Edmonton Indy can be seen on Versus live Sunday July 26 at 5 p.m. Eastern Time. The qualifying show for the Rexall Edmonton Indy will air Saturday July 25 at 6 p.m. also on Versus. Well my predictions are up in the air this weekend, which can be said for every other street or road course. All the pit strategy, wrecks and lap cars can all come into play on decided who wins on a road course. I hope the competition is as fierce as it was in Toronto two weeks ago. I will take Ryan Briscoe to bring home the checkers, with Dixon and Castroneves rounding out the rest of the podium. I think Andretti Green Racing is in need of some good showings out of all four cars, and I think Marco Andretti will have a great run this weekend as well. My dark horses are Mike Conway and once again Alex Tagliani. Both need to show patience, Conway had a strong run in Toronto, qualifying 6th, only to end up wrecked, and same for Tags, if he can eliminate dumb mistakes, like the wreck with Tomas Scheckter in Toronto, he could pull off a solid top 5. Larry Foyt served as Anthony’s Best Man while Casey’s sisters, Carlie Irsay-Gordon and Kalen Irsay, were the matron and maid of honor respectively. The bridesmaids were Casey’s friends Cara Kneer and Megan Noel and Anthony’s sisters Tonia Poe and Casie Foyt. Anthony’s groomsmen werelifelong buddies Chase Ramsey and J.T. Gilley, his brother-in-law Monte Poe, ex-NFL Colts tight end Bryan Fletcher and Chris Beaty. Anthony’s nieces Isabella and Claire Poe were the flower girls and his nephew Blake Straten was the ringbearer along with “Mugsy,” (Casey’s 13-year-old Boston Terrier). Following the wedding ceremony, the guests were then escorted to the resort’s Wine Cave, an actual cave that was turned into an intimate room illuminated by candles to create a warm atmosphere where guests imbibed in fine wines and hors d’oeuvres. The six course gourmet dinner (paired with appropriate wines) was served at the Poolside Patio. Following the traditional cutting of the wedding cake and the featured Candy Bar (all white chocolate candy assortment), guests were then treated to dancing in the Wine Cave which was transformed into a disco/nightclub. 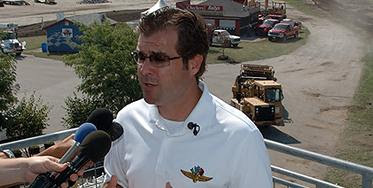 Jeff Belskus who became IMS CEO after Tony George resigned the position on July 1st, will oversee Chitwoods's former responsibilities. 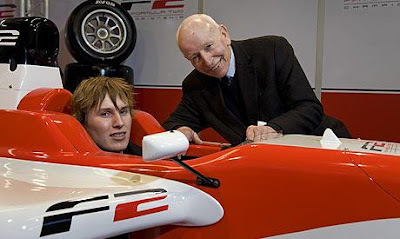 After finishing on the podium for the first of two home races, 18 year old British driver Henry Surtees son of 1964 F1 Champion John Surtees, was killed in a freak accident during the 2nd race in todays Brands Hatch GP double-header. "Henry was driving between Westfield Bend and Sheene Curve when he was struck on the head by a wheel and tyre from another car which had hit the tyre wall ahead of him just before. Henry was immediately knocked unconscious and his car failed to negotiate the following Sheene corner and collided with the barriers. The race was red flagged and the medical team were with Henry as soon as possible. He was removed from the car, stabilised and taken to the medical centre where the medical team prepared him for transfer to the Royal London hospital, the regional trauma centre, by helicopter." 16th And Georgetown: How do you like your new position as VERSUS "pit stratigest"? Jack Arute: It has been something that I have discussed with ABC & ESPN for several years. When VERSUS took over the bulk of the IndyCar coverage, they were very receptive to the concept. They have supported the spot and have worked hard to develop it as we continue our coverage. It is something that really needed to be included in IndyCar coverage because so many winning decisions are made on pit road. 16th And Georgetown: What track on previous open wheel schedules do you mis the most? Jack Arute: I always enjoyed the trip to Australia. The Aussies love their racing and they always put on a great event. 16th And Georgetown: If you could go back and pit report any race in the 100 years since the inagural Indy 500, which would it be? Jack Arute: Why not the first one! Just think. To have been part of an event that has endured for almost 100 years. Now that would have been something. 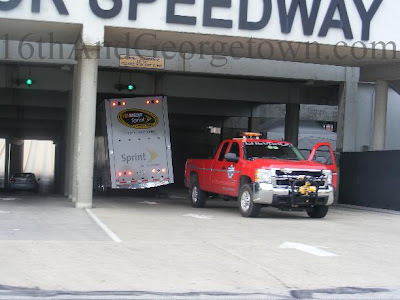 16th And Georgetown: You served as Vice President for Charlotte Motor Speedway in 1980. If you were president of IMS for a day, what are some of the first changes you would make? Jack Arute: I would continue on the path that they have created. I might consider coming up with some sort of 21st Century "Snake Pit" because so many young people are first exposed to the 500 and to IndyCar by partying in the "Snake Pit". I think I would also expand the Victory Lane area. The current location is a bit crowded. 16th And Georgetown: Any plans for another Book? Jack Arute: Maybe some day. I’m presently working on a College Football Book that traces the heritage of the top 25 College Football Traditions. Texas A&M's 12th Man, The dotting of the "i" by the Ohio State Buckeye Band, etc. 16th And Georgetown: You have interviewed some of the greatest drivers in the world while in Victory Lane on Memorial Day weekend, does any one post-race interview stick out over the rest? Jack Arute: Two. The first was Al Unser Jr's first win when he tearfull told me "Jack you just don't know what Indy means to me." 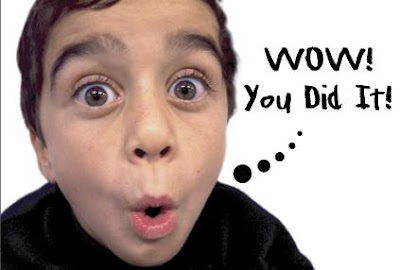 I did know. Al and I were good friends (still are in fact) and we had talked a lot about his winning the 500. The second was when Bobby Rahal won the Indy 500. The circumstances were n ot ideal, from the rain delay and postponement to his pass of Kevin Cogan and then his long time car owner, friend and benefactor, Jim Trueman's terminal illness. If you look closely at the Victory Lane photos you can see just how frail Jim was at the time. He held on to my neck to stand up and I can still feel his grasp whenever I think about it. When the interview was done, Jim whispered to me "I can go now" and shortly afterwards he indeed did succumb to his cancer. According to Fox Sports, Danica Patrick toured the race shops of 1997 Indy Racing League Champion Tony Stewart. Stewart was reportedly not there, but she did meet up with Ryan Newman among others. Unlike other top Stock Car teams, SHR who is only a two car operation, will have a couple seats available next season if they decide to add cars. According to multiple reports, 4 time Champcar/Cart Champion Sebastien Bourdais will be brought back down to reality as he's finally lost his F1 ride after a year and a half of abysmal results. SeaBass, who has been continuously out performed by his teammates last season (Sebastian Vettel) as well as this season (Sebastian Buemi) will be replaced in his STR ride ending his 27 race F1 career. 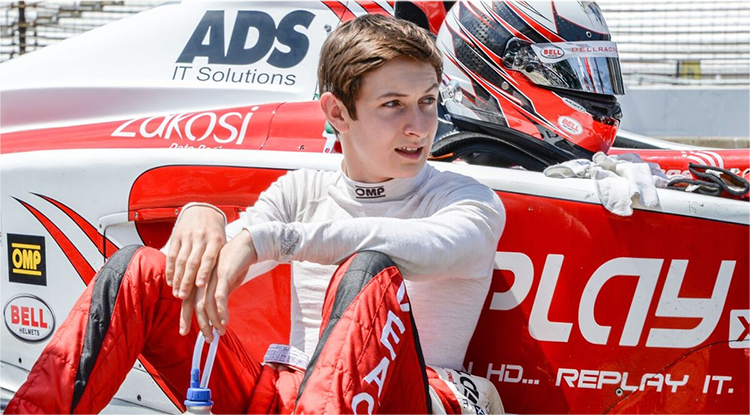 STR will buck the trend of signing "Sebastiens" as 19 year old Jaime Alguersuari, will become the youngest ever to pilot a Formula 1 ride after his start in the upcoming Hungarian Grand Prix. Power out qualified other 2 Penske's for the 2nd time in only 4 races. This article is solely the opinion of myself (Tony), and fellow Indy Car fan TJ Halsema. Many of you may think this is a crazy and bizarre proposal, but please take the time to read this, and give it some thought. 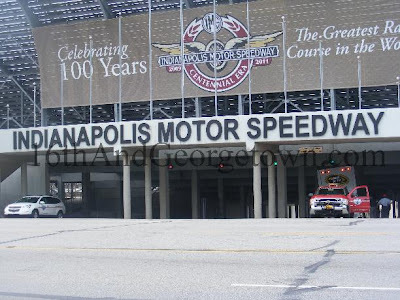 Everyone knows the Indianapolis 500 is the greatest race in the world, but since the split between Champ Car and the Indy Racing league, it just has not been what it was in the early 1990s. And for all of you realist who say there is nothing wrong with the Indy 500, put your guard down for a minute, nothing about the 500 and the “Greatest Spectacle In Racing” is going to change, it will still be the greatest event in the world, but let’s face it, it is not 1970 anymore. So why mess with tradition? Here is why. Move the Indianapolis 500 to Saturday night, with about a 6:15 start. This would benefit many aspects of the event. First of all, the T.V. rating for the Indy 500 are nowhere near where they were at one point. Since ABC has started running the race live, the best rating was in 1987 with an 11.2. This year’s 500 came in at a 4.2. Running the 500 in a prime time slot on ABC would boost ratings as more people could tune in, sell more ad’s, and could give an added twist to the race, attracting more viewers to watch. Also, to viewers overseas, the race would run late at night, instead of it being aired very early in the morning. Running the race at night would give drivers in Nascar that have the talent to run the 500, a chance to do so. Regardless of what series you love or hate, the 500 should be the best drivers in the world. This would allow Sam Hornish Jr. Juan Montoya and Tony Stewart (barring weight loss) a chance to return to the speedway in May. Other drivers could give the 500 a shot that have expressed interested, such as Kyle Busch or Jason Leffler. If the qualifying format would be adjusted a little bit, these drivers could also have the chance to qualify for the Pole. With the concern on fuel and tire costs, and the cost to lease engines for the month of May being a burden on many teams, why not move Opening Day back to the 1st Sunday in May. The Rookie Orientation Program could be all day Saturday and early Sunday morning. Let all the drivers get on the track at noon and run to six for the first day of practice. This would allow all drivers the chance to get on course. For Qualifications, why not have a Pole weekend? Put the top 22 spot up for grabs on Saturday and Sunday. Therefore, to the drivers attempting the double, they could run the Nascar race Saturday night and fly to Indy Sunday, and still have a chance at grabbing the Pole for the Indianapolis 500. Eliminate the 3rd day of qualifications, and leave Bump Day that Sunday before the 500. Then, have the finally 11 spots up for grabs, and let the bumping begin. Leave Carb Day how it is, but have the parade in late after Friday, sometime in the evening, with the Public Drivers meeting being right after the pit stop competition on Friday. Move the Miller Lite Concert to race day at about 11 am, and have the pre race festivities start around 4:30. Lights at the track would be a very expensive project, but rumor has it when the speedway was repaved, it would be fitting for lights to be installed. 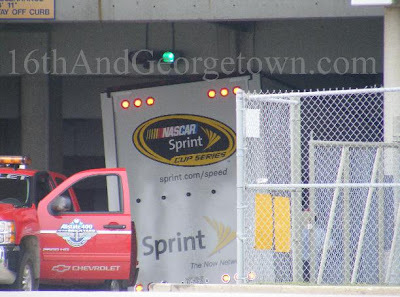 This would lead to the All State 400 possibly ran at night due to the warm temperatures in late July, and possibly bring in an ALMS race the weekend of the Moto GP. First off, I love Tony's "Pole weekend" idea. With both Saturday and Sunday to run for the pole, you'd see everybody who had any kind of shot at the top spot making 3 attempts. If your a top notch team like Penske or Ganassi, who cares if the driver puts it into the wall with 2 minutes left until the gun. They'll just roll out the backup for Sunday. I'll be honest, not a big fan of the night race idea but I could deal with it. But it does'nt really matter because unlike a track like Kentucky, IMS is in the middle of the city. There not going to allow 400,000 spectators to flow into the streets/neighborhoods of Speedway at 10p.m. I wouldn't mind running the Greatest Spectacle in Racing on Memorial Day. It would allow some of the stock car drivers who have expressed great interest in the race to drive including guys like Earnhardt Jr., Kahne, and the Busch brothers. Personally I don't care if they drive, but it would attract a ton of viewers. It'll be very interesting to see over the next few years how much the Month of May schedule changes. With the Centennial era upon us, and the recent mix up in IMS management I could see anything happening. 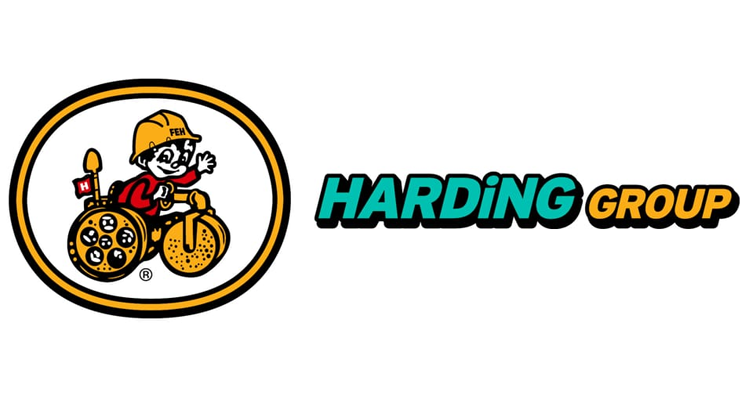 No matter what happens, as long as there's a 500 mile, open-wheel race at the end of May on the corner of 16th and Georgetown, I'll be in attendance. The Indy Car Series has finally finished up the streak of ovals, and I think that everyone can agree, it is about time. Whether you’re a fan of ovals or not, the racing was sub par compared to previous years, and hopefully the competition and passing will be fiercer starting this weekend at Watkins Glen. Last year, Ryan Hunter-Reay took the win after benefiting from Scott Dixons spin under yellow that collected pole winner Ryan Briscoe. Dixon recovered to finish 11th after being top three all day. 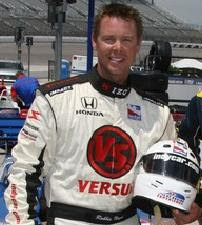 Ryan went on to score his first and only career Indy Car Series win, driving the Ethanol Rahal Letterman Racing Honda. What a difference a year makes. RHR has bounced from Vision Racing to the #14 ABC Supply A.J. Foyt Racing Honda after Rahal Letterman Racing couldn't fund a full time team for 2009. Don’t over look Ryan Hunter-Reay this weekend though. Right behind him last year was Darren Manning driving the #14 ABC Supply Company Honda. A.J. Foyt Racing is expecting a great run in Sunday’s race at The Glen. This weekend, Paul Tracy returns to the Indy Car Series to run his third event of the year, this time for KV Racing once again sponsored by Geico. Richard Antinucci will make his debut for Team 3G. The Indy Lights graduate will bring the car count to twenty one cars. Antinucci won last year’s Lights race at the Glen, and his three other Lights Series wins also came on road courses. Milka Duno will be back piloting the Dreyer and Reinbold 23 car as well. Scott Dixon is defiantly the man to beat this year, or if you can’t beat him on the track, hope he beats himself, which is unlikely. Dixon won the first three events at the Glen, leading 58 laps over those three victories. He knows how to get it done on the road courses where he has scored six of his nineteen careers wins, more than any other driver. 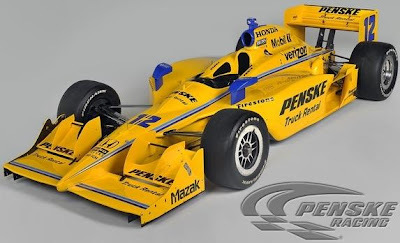 My pick to win this weekend is Ryan Briscoe. I think Dixon will have another great run, defiantly in the top three, but Briscoe needs a win after falling to 3rd in the points after wrecking out at Richmond. My picks last weekend were not too far off as Dario came home 2nd and E.J. Viso finished. 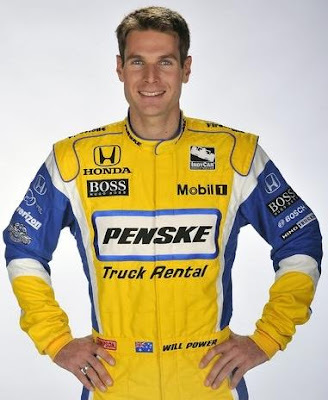 This weekend, I am picking Ryan Hunter Reay of course to be a dark horse even though he is the defending winner, and my other dark horse is Justin Wilson. He could pull off an upset and get Dale Coyne his first Indy Car Victory. 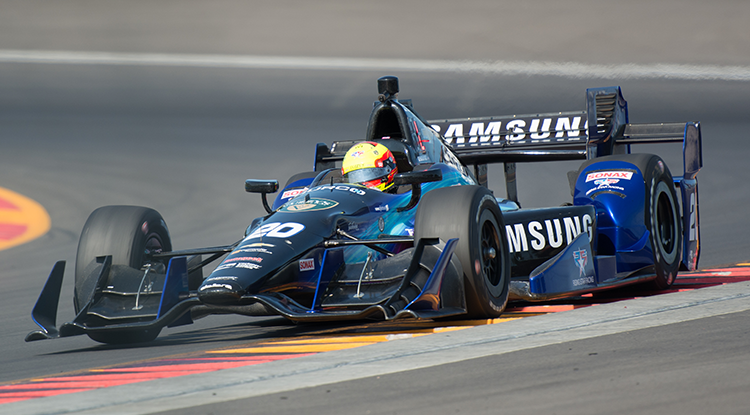 Sources within the IndyCar Series believe HPD has moved away from its stance of wanting a rival automaker to compete against and may see value remaining as a single-engine supplier to the series. 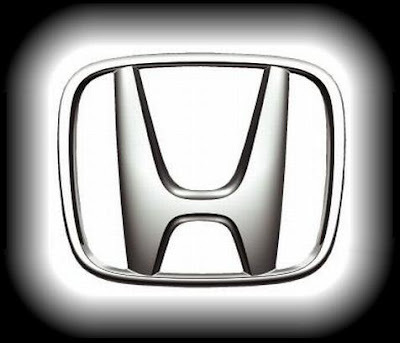 Supposedly both Audi and Volts Wagon are interested in supplying an engine for the next generation Indycar, but they don't seem to agree with Honda on the type of engine. Long story short, Honda wants to run the V-6 Turbo while Audi and VW want the 4 cylinder Turbo.